Malaa, one of the most notorious masked producers in the scene, has had the biggest rise to fame in the past year. It’s hard to believe this mysterious DJ had his first show ever in July 2015, and nine months from then he was chosen to be a part of the esteemed Ultra 2016 live stream lineup. His ascension into the spotlight is unparalleled, and you can only wonder where the upcoming years will take him. 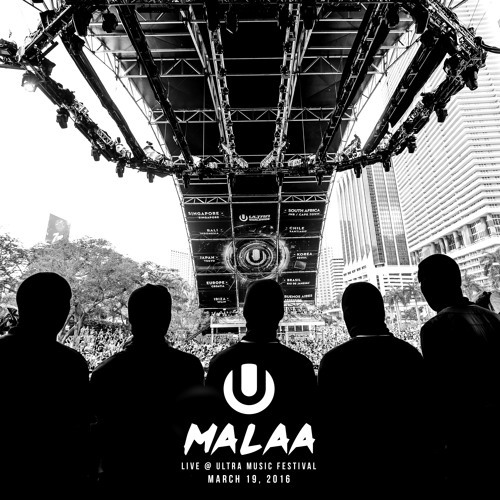 Other accolades from the past year for Malaa include; a spot in the 2016 HolyShip cruise, guest mix on the Diplo and Friends BBC show, and a current tour with the French superstars DJ Snake, Tchami, and Mercer. In the livestream performance at Ultra Malaa took anonymity to another level. He had his full ski mask, long sleeve button up shirt, and gloves to leave the bare minimal on display. Behind him you’ll also notice a crew of anonymous comrades, with even the camera man wearing a ski mask as well. Editor-at-Large at with The Nocturnal Times. Fell in love with Justice's "Cross" in 2007 and have been an avid fan since. Love to talk experiences, passions, marketing, strategy, and everything else music at kris@thenocturnaltimes.com.